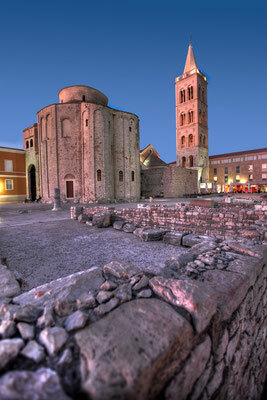 The city of Zadar is a city of exceptional history and rich cultural heritage, a city of tourism. 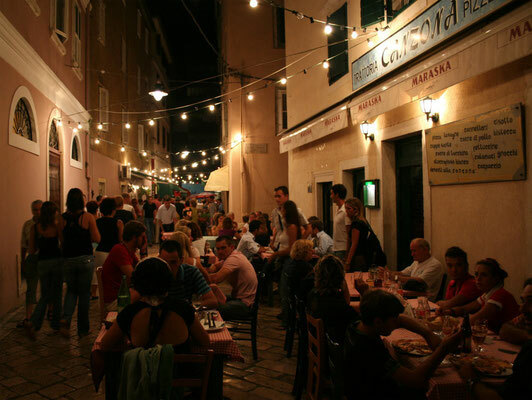 Our website will try to offer you a complete tourist offer, from searching for an ideal accommodation, autochthonous gourmand delicacies, cultural monuments, a variety of excursion programs and numerous tourist activities that the city offers by combining the beauty of the past and all the privileges that the modern traveller demands. Zadar is a city monument, surrounded by historical ramparts, a treasury of the archaeological and monumental riches of ancient and medieval times, Renaissance and many contemporary architectural achievements such as the first Sea Organ in the world. 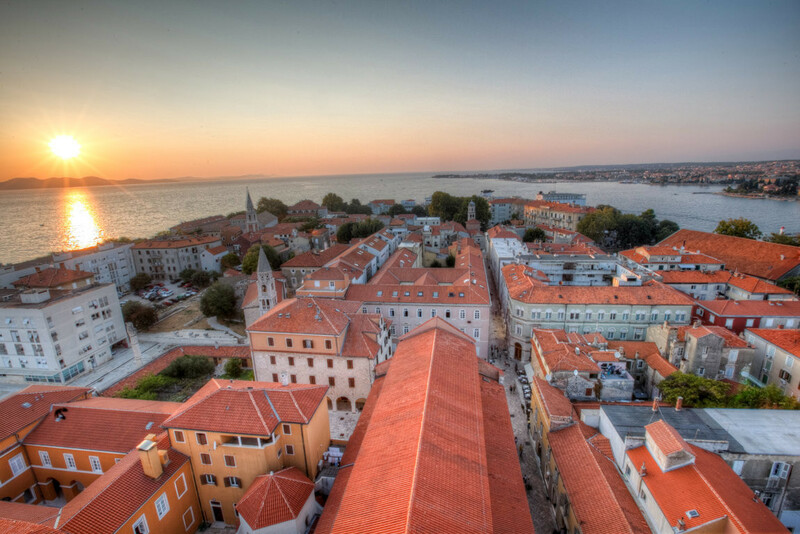 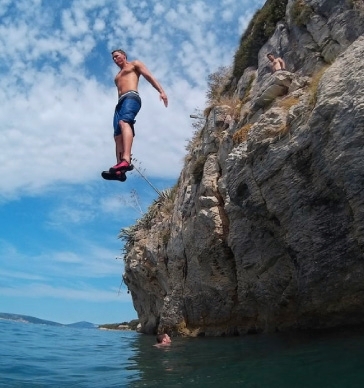 The city of Zadar is an easily reached destination by land, sea and air. 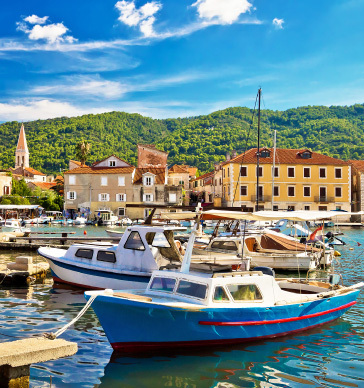 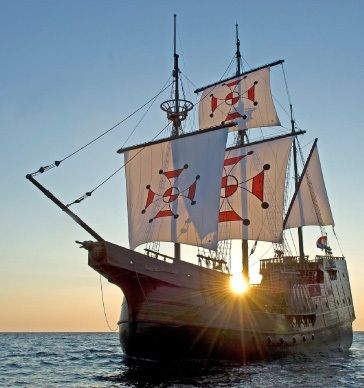 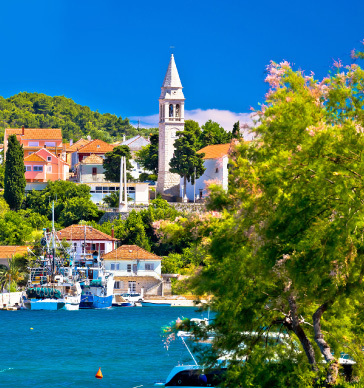 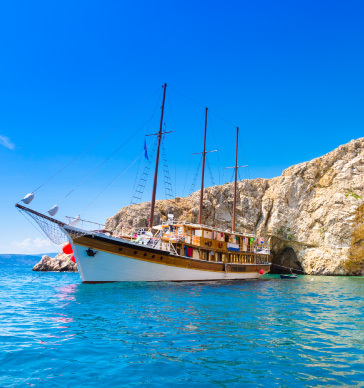 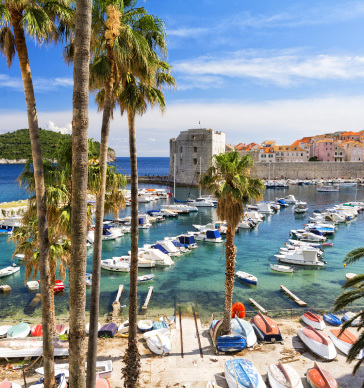 It has a good traffic infrastructure through which it is directly connected to other bigger cities of the Republic of Croatia and Europe, with extraordinary accommodation and contemporary service of numerous marinas. 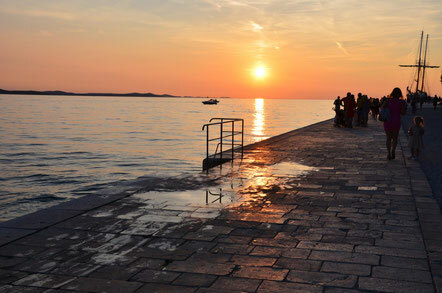 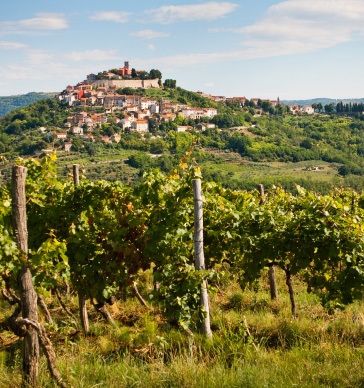 Whichever way you want to reach Zadar, the natural beauty of the landscape will not leave you equanimous. 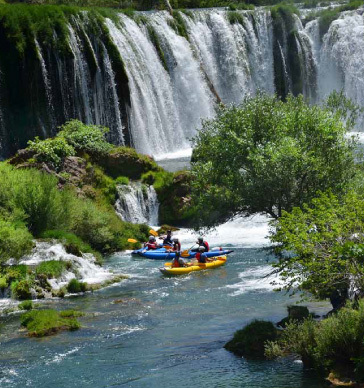 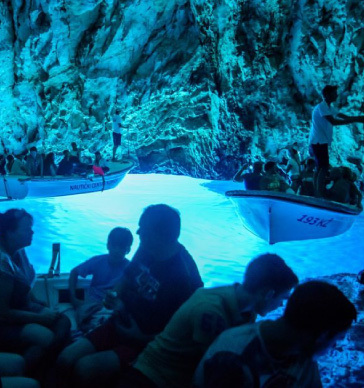 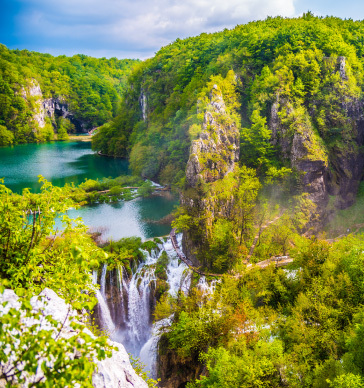 Discover the secret bays and diverse wildlife around on a full-day kayaking tour, or see Plitvice National Park on a Full-Day Tour from Zadar. 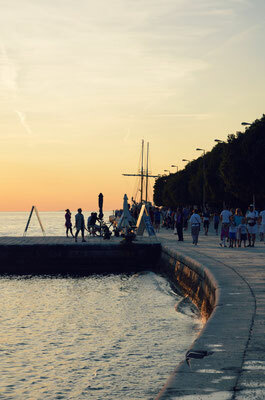 The ferry port as well as the new tourist port for cruisers are located on the new and spacious Gaženica port, some 3 km away from the center of the town. 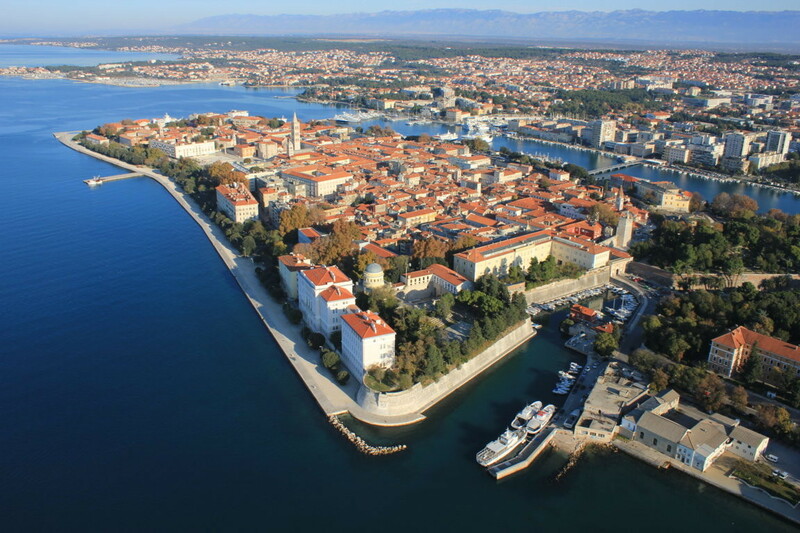 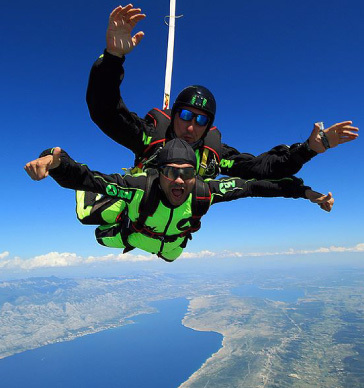 Air transport, even though the airport is small it is contemporary (9 km distance from the center), and connects Zadar with bigger cities of the Republic of Croatia and many European capitals and other destinations. 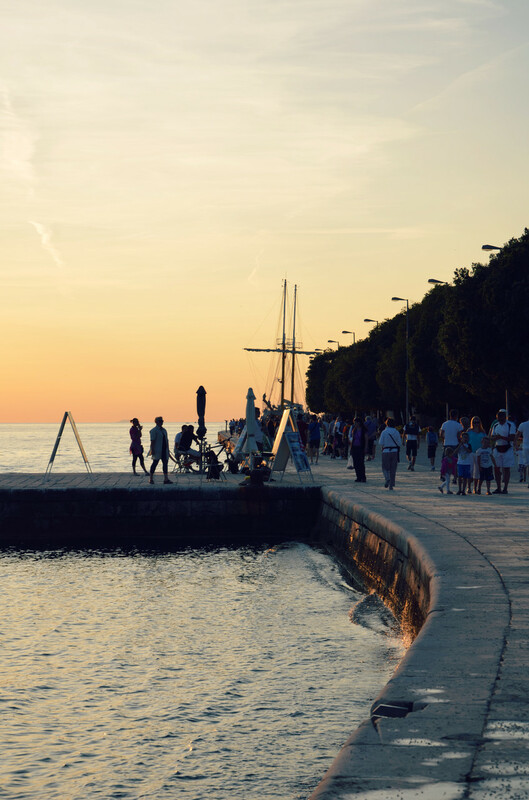 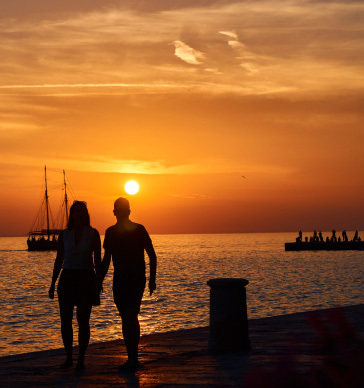 Situated in the heart of the Adriatic, Zadar is the urban center of northern Dalmatia as administrative, economic, cultural and political center of the region with 75,000 inhabitants. 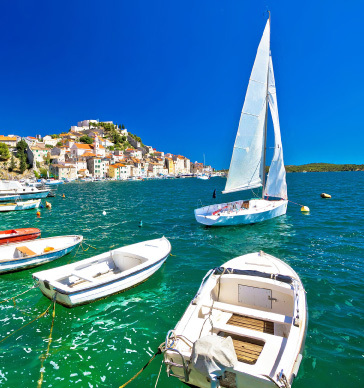 The coast is particularly indented, the islands and the untouched nature allures many boaters to this regions. 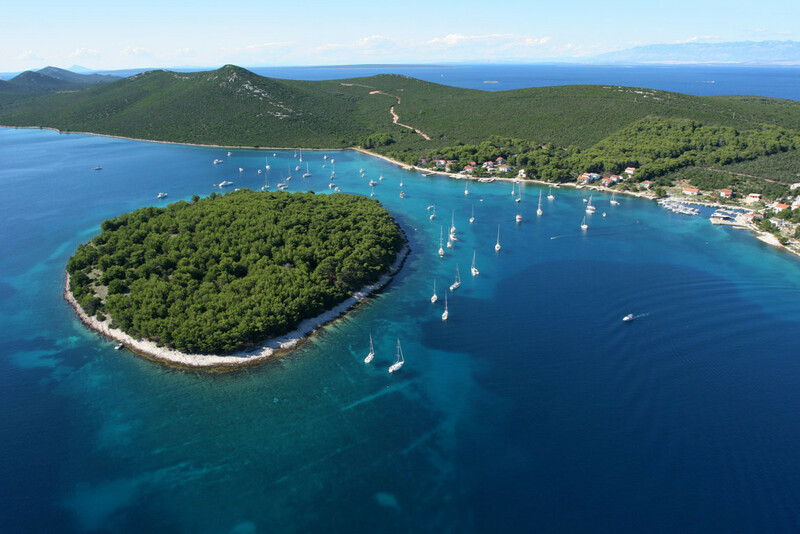 The archipelago counts 24 bigger and about 300 smaller islets and rocks, 3 nature parks - Telašćica, Velebit and Vransko jezero and 5 national parks - Paklenica, Plitvice lakes, Kornati Islands, Krka and Sjeverni Velebit classifying Zadar and its surroundings at the very top of the Croatian tourist offer. 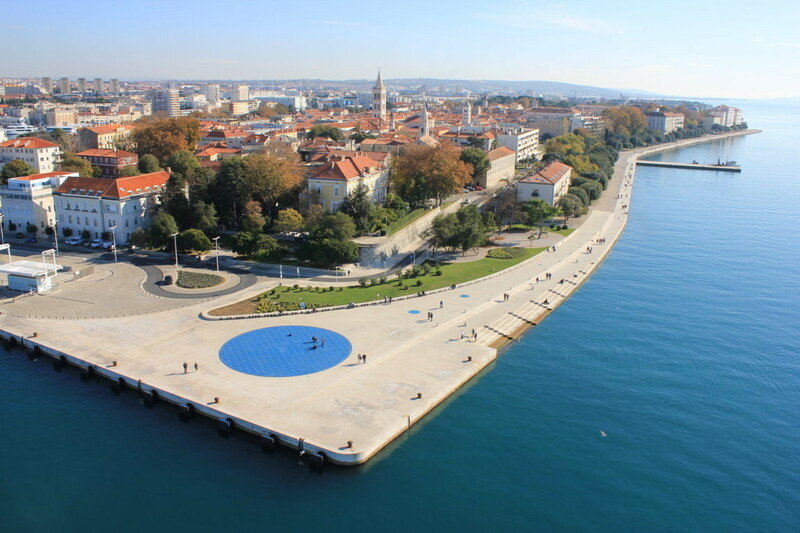 On Istarska obala, at the very end of the Zadar peninsula, next to the famous Sea Organ, shines the Greeting made by the same architect Nikola Bašić. 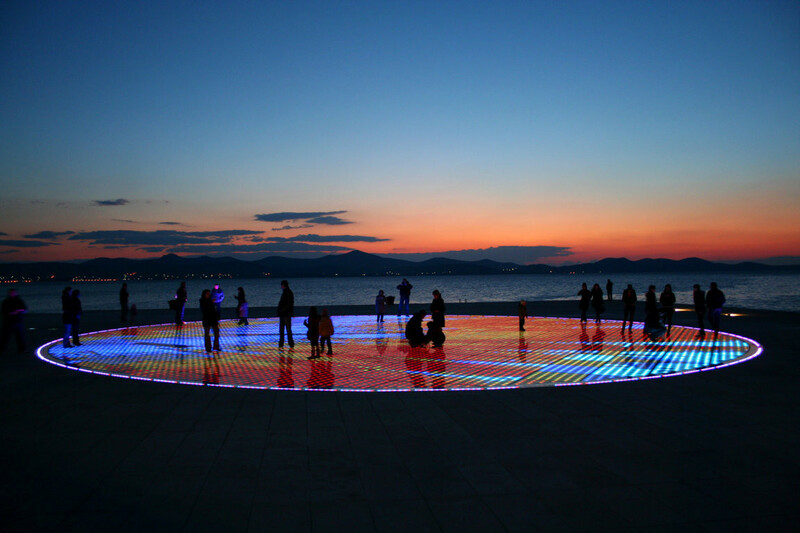 The Greeting to the Sun consists of three hundred multi-layered glass plates placed on the same level with the stone-paved waterfront in the shape of a 22-meter diameter circle. Under the glass conduction plates there are photo-voltage solar modules through which symbolic communication with nature is made, with the aim to communicate with light, just like the Sea Organs do with sound. Located in front of the church of Saint Donat and the Archbishop´s Palace. 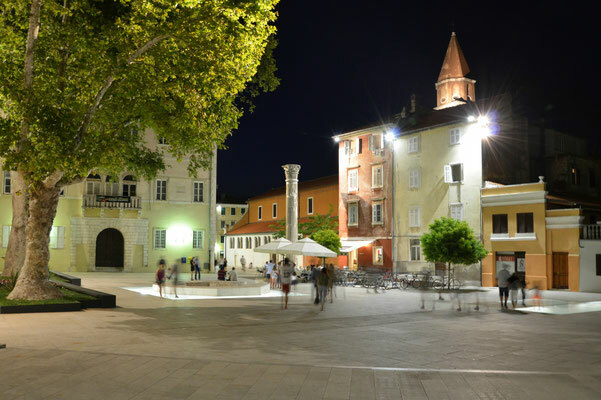 It is a municipal square from the Roman era, built from the 1st century BC to the 3rd century AD, 45 by 90 metres in size. It represents a very developed example of the forum complex, and is one of the most important among the Adriatic ancient cities. The inscription with the name of Augustus´ proconsul for Illyricum, Tamfil Vaale, carved on the well of the Forum, testifies that the complex construction was started as early as the second decade of the 1st century BC. 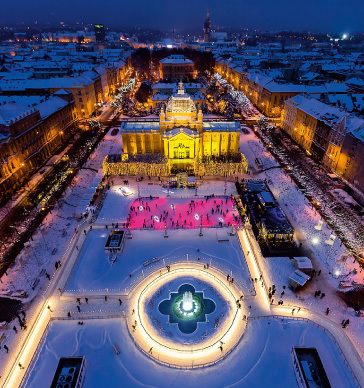 The forum is the name given to all main squares in the cities of the ancient Roman Empire, where the public life of the city unfolded. 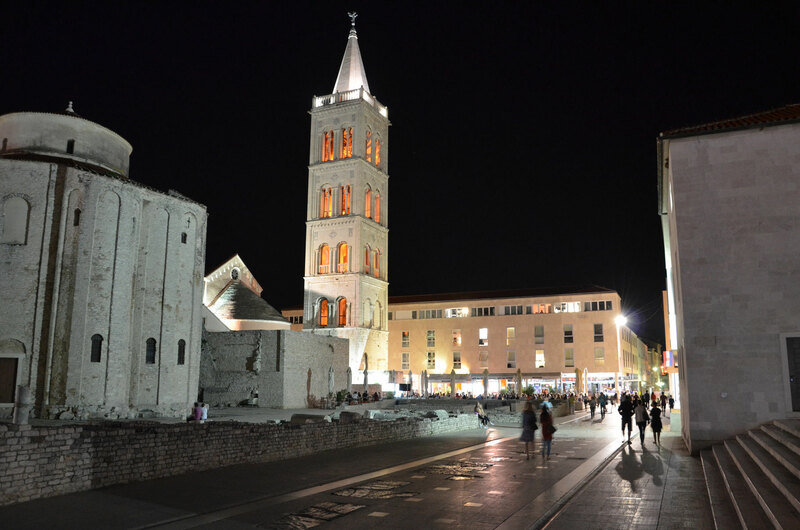 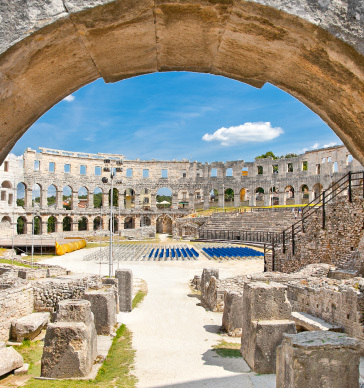 Discover the history of Zadar from Roman Times till now in this 2-Hour Walking Tour. 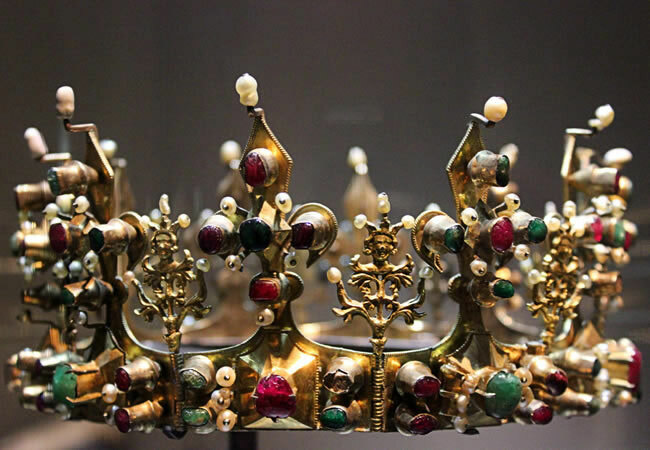 The exhibition "Gold and Silver of Zadar", initiated in 1951 by the Croatian writer Miroslav Krleza, was transformed in 1976 into a permanent display of the Permanent Exhibition of Ecclesiastic Art in the Benedictine Convent of St. Mary in Zadar. 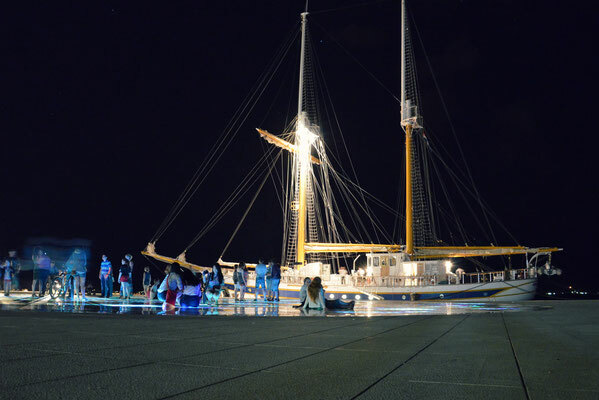 The museum is one of the city´s newest attractions and rightfully so. 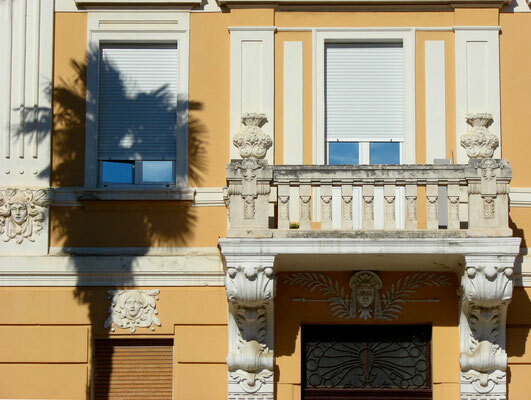 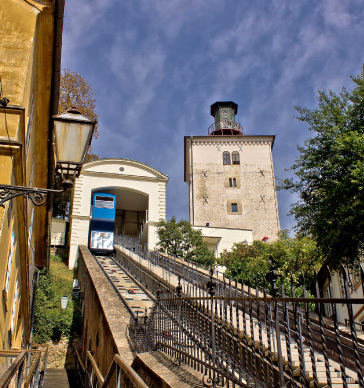 It´s housed in the 19th century Cosmacendi Palace and has some outstanding views that overlook the Jazine harbour. 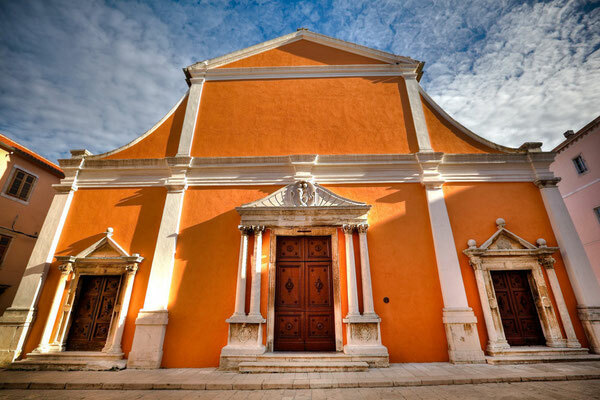 The museum contains one of the premium collections of Roman glassware outside Italy, with a cornucopia of goblets, jars and vials retrieved from archaeological sites across Dalmatia. 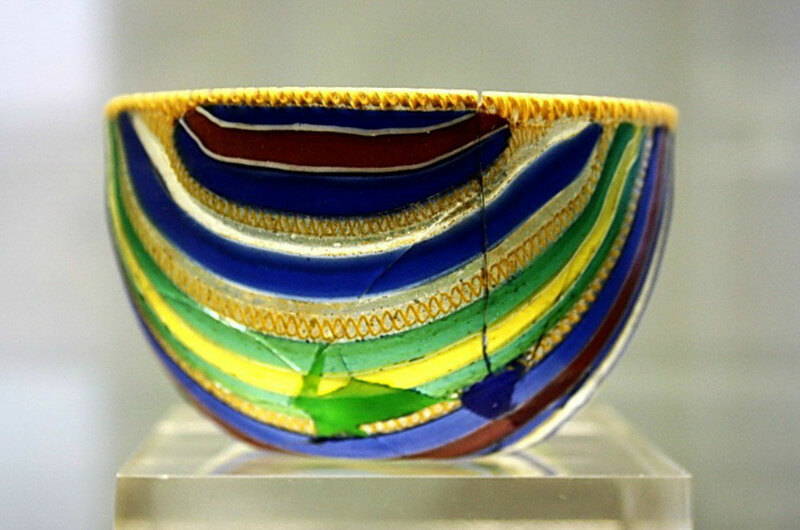 Highlights include the delicate vessels used by Roman ladies to store perfumes, skin creams and essential oils. Also look out for glass cups used to celebrate Mass, and dainty flasks in which holy water was stored. 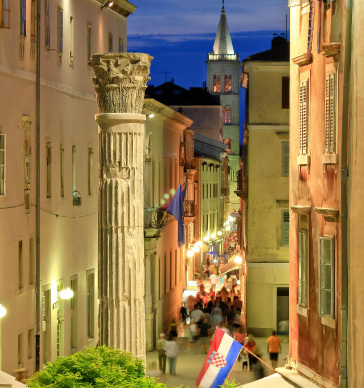 Take the opportunity to see the replica Roman glassware on sale as you´ll no doubt enter one of the classiest souvenir-stops in the city.